Flapper is now officially 9 years young. With this, it marks the end of his three months campaign for Sony Action Cam. It has been a memorable and meaningful journey. I am so glad that we have been given this opportunity to create and experience new adventures and most of all, end it off with style - Flapper's Birthday Celebration. The last time Flapper had a big birthday celebration was way back when he was 4. That was a grand party with 30 of his furry pals. They came pretty/handsome and went home... absolutely muddy. Such fun memories! Luck is a given for Frodo. Luck is hard-earned for Flapper. So this year, I was determined to make something happen. Flapper really deserves a good birthday celebration this year... more than what anyone would ever know or realise. So when we were first approached to run this campaign, the first thing I knew and said was, "The timing is perfect. We will end it off with Flapper's birthday bash." Then as I sat down to think about what adventures to bring him on, it dawned upon me... MAYBE I should do a 'bucket list' for Flapper leading to his 9th birthday. Then from 'bucket list' (just because it sounds morbid), it became wishlist. Then from wishlist, it evolved to 'Nine promises to Flapper'. Nine things I have always wanted to do with Flapper but never had the chance or resources to do it. Because Flapper was turning nine. I think it is fun and exciting to create new adventures and seize every moment I have with Flapper. I do not want to live regretting not fulfilling my "to-do" list with Flapper. It is very easy to take for granted that there's always a tomorrow. I work with animals so closely that I know how fragile their lives can be. Recently, quite a few of Flapper's mates have crossed that rainbow bridge so that motivated me further to create and fulfil this 'Nine Promises' list. In a way, I guess I hope his adventures can help inspire and encourage other pet owners to really treasure their time with their furry ones. In addition, after a few disappointing years of not being able to throw a birthday party for Flapper, it was all that more significant to complete this 'Nine Promises' list. Perhaps it was too ease the guilt too. Nevertheless, I was excited and terrified at the same time to embark on this 'Nine Promises' journey. I loved the idea of running different adventures with Flapper but I also knew to execute this ambition, I was putting myself out there for rejections. Many rejections. Just because Flapper is a dog. A big blonde dog. Most organisations or people don't really care that Flapper is some 'celebrity dog' or is a 'well-trained dog'. The word 'dog' is like a taboo. Oh what the heck! I decided to put on my thick-skinned suit and just do it. I was really not sure how far I would get to fulfilling those nine promises. I'll just embrace whatever that comes along the way. No what ifs. No regrets. Were there moments when I felt like giving up? But I kept my focus on Flapper. These were/are my promises to him. He deserves every bit of it. The happiness on his face when we are out and about, and all the precious moments and expressions captured on video. Those were my constant reminder that it was all well worth it. and wearing a pair of 'doggles'! This is something I have always wanted to do with Flapper. I have always fancied the idea of him going on one of those scooters with sidecar and Flapper wearing a pair of doggles. That would be absolutely hilarious! But okay, truth be told, this would still be more a Frodo thing than Frodo thing. The other thing I have always wanted to do was go on a trishaw ride with Flapper. The many times we have watched a trishaw go pass and I would be secretly wishing, "If only I could do this with you...."
Go on a Trishaw Ride. This was one of my favourite moments - when Flapper got to meet his 'Godson' for the first time. We, his Godson's parents and I, had a discussion whether Flapper should be a 'Godbrother' or 'Godfather' but with his wise age of 9, we concurred that Godfather was more suitable. Flapper has always been great and gentle with kids so I thought it would be fun for him to be a 'Godfather' to one since, well, I don't think he will be a big brother to one anytime soon. Don't ask me why but I have always been fascinated by one of these inflatable boats and for years, I have wanted to do it with Flapper. I did not think he would fancy one of these boats very much as the 'wobbliness' when it is floating may not tickle his fancy very much. However, since we are given a small budget to run new adventures and the Intex 'Explorer' series appeared sturdy plus it's affordable, I had to DO IT. Surprisingly, Flapper LOVES the boat. Yes, he's punctured a hole (or 2) on the boat but he did have oodles of fun riding on it. What could be better than going on a real boat? We finally got a chance to do it on his birthday getaway when we took the ferry to St John's Island. You know, those underwater shots of dogs went viral. So how could I resist not trying this out with Flapper especially since swimming is his favourite hobby! And now that we have the Action Cam... why not? Trying this out with Flapper was really fun. Reviewing the footages allowed me to see how he would try to get a view of the toy's position before plunging his head in... and there after using his paw to try to feel for it. This is something we will definitely continue post-campaign. Flapper used to be a volunteer with SCDF Search and Rescue. He loved his weekly trainings and did a pretty good job too. So it was sad when SCDF decided to cease the volunteer training. Thus, I decided it would be really fun and meaningful for Flapper to have just one more run/training with the unit - just for fun. We emailed his old friend from the unit to ask for this favour and received a positive response. Yay! Unfortunately, we have not completed this yet and we are not allowed to video Flapper doing Search and Rescue (understandably). With the looming haze, I have no idea when we are going to do this activity... but but better late than never. We are just happy we got the 'yes'. Flapper used to be a therapy dog and he loves to serve humans - for real. From a young age, Flapper displayed natural 'serve human' instinct i.e. he loves helping me carry my bag, he MUST carry something for the human when one returns home etc. This was a very important promise to Flapper for his birthday. He WILL visit a school or home to serve. He loves this work a lot. It is not just the big 'adrenaline junkie' adventures but these meaningful projects are very important too. With many thanks to Principal Gillian from My First Skool AMK 6 for inviting us to interact with those adorable kids. We love the children as much as they loved Flapper. This is a frivilous wish so don't even ask me how it made it to #3. Believe it or not, it was one of the first few ideas that popped to my head and I had to fulfil this promise! I guess I just love the idea of having a food made out of his favourite ingredients named after Flapper. 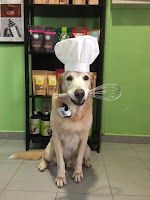 And the thought of Flapper as Sous Chef, that cracked me up even more. "Have you heard of 'Liver Chips FLAPS-jack'?" Of course, Mister Flapper ain't complaining about that. He got to wolf down the food AND milk! 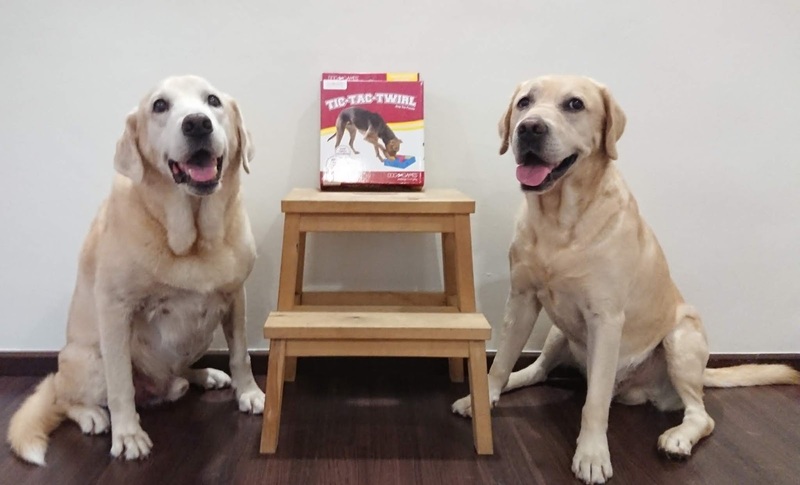 Many thanks to The Barkery Singapore for creating 'Liver Chips FLAPS-jack' and naming it after Flapper. Have a food named after Flapper. Days before the dogs, I used to travel quite a bit. The many days I have spent dreaming of taking the boys on cross-country drives on one of those some open-backed vehicle or 4x4. Reality check. We are not living in a 'cross-country' type of country here. We have Pasir Ris to Jurong and that's about it. No rule books ever said I couldn't stretch my imagination a little. So I decided to create this little 'road trip' adventure and pretend... just for one day... we are actually on a cross-country drive. This road trip almost did not happen (read the post here) but with many many thanks to Chrysler Jeep of Singapore, this dream adventure became a reality. The dream beach getaway finally happened. Now this one.... has been on my dream wishlist for like.... forever. Not just a getaway, I dream of living at a beach house. I wake up every morning to an empty house because Flapper has opened the gates to let Frodo out to swim with him. I ring that big chunky bell that hangs at the patio and the boys come running home, grinning from their fabulous morning swim and ready for breakfast. This was the first thing I worked on once we got onboard the Sony campaign. Flapper's birthday was meant to be the 'big end' to the campaign. I knew that a beach getaway would be most ideal for water baby, Flapper. He loves the sea and swimming too much. 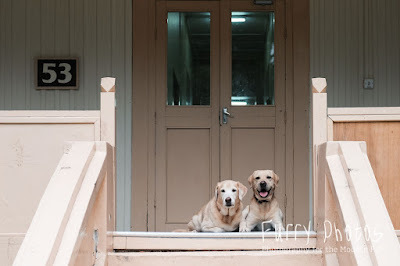 So Flapper (yes, Flapper) emailed Island Cruise to see if the dogs could go on the ferry then to Sentosa to ask if the dogs could stay at the one and only bungalow. It was nerve wrecking waiting for the replies. I was half-expecting for this idea to fly out of the window but for the first time in a long long time, we received affirmative from both parties. I nearly broke out in tears as that was totally unexpected. Then came the tricky part. I had to find my way to Vivocity on 1st July to book that one and only bungalow. I HATE Vivocity. I always get lost in that mall. But for the love of Flapper... it shall be done! I arrived at the Sentosa - whatever you call that - early. I felt so proud of me coz I thought I was smart for being early. I may have gotten the timing wrong but the office already open and I was sixth in line. Dang! That was when I started breaking out in cold sweat and thought, "What if I can't get the bungalow?" There was only one slot left for the bungalow booking and it was the exact dates I wanted - 22nd to 24th September. I knew then it was meant to be. Flapper will get his birthday getaway and celebration this year. Shortly after I had booked the bungalow, his daddy (my husband) broke the news that he had a business trip and could not join us. I was totally bummed. 'Uncle Nic' and his wife were joining us so at least I still had two extra pair of hands to help . A few days before the getaway, 'Uncle Nic' messaged to say that he took on a last minute job and could not make it either. 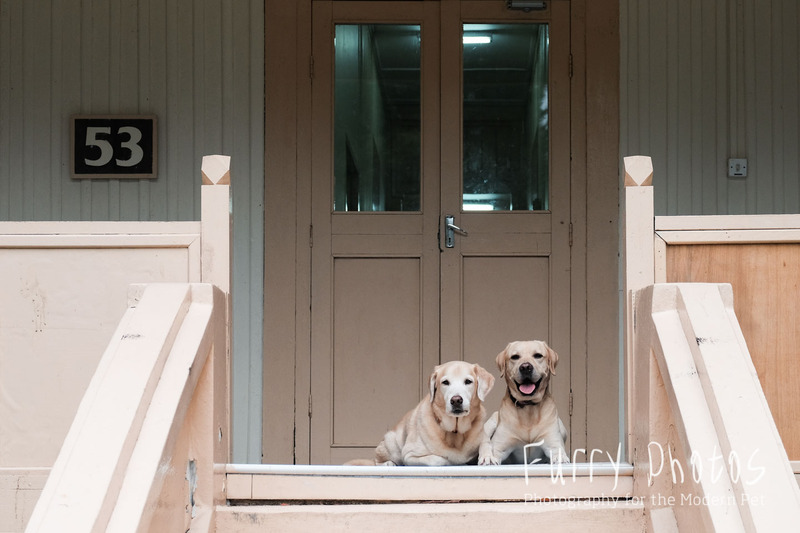 I had to decide to cancel the trip just because logistically, it was humanly-impossible for me one person to handle the dogs and transporting food supply. You see, St John's Island has NO shops or eateries. So apart from our personal belongings, I had to make sure I had sufficient food supply especially for Flapper's human guests. Fortunately, the job got cancelled and 'Uncle Nic' was available again. I was bedridden for two days and I was like "How in the world am I going to pull this off?" I wavered. I could not decide if I should just cancel the trip. The haze was getting worse too which made me feel sicker than I should be. Was Flapper going to miss having another birthday celebration again? Fortunately, I miraculously recovered on that Tuesday morning itself and made a mad dash to the supermarket to shop. I woke up that morning feeling determined that nothing was going to stop me from realising this promise. I made whatever last minute arrangements I had to and while packing the massive loads of stuff, I wondered WHY I decided to do this. "I'm mad! Going St John's with 2 huge blonde dogs? What was I thinking?" I was cursing at myself. "Taking adventures to new heights? Surely this is new heights! ", I thought to myself as I stared at the trolley. I was exhausted even before we began! I gritted my teeth, single-handedly loaded all the stuff into my toot van and before I knew it, we were on our way to St John's Island! At Marina South Pier, finally on our way to St John's Island! I knew that all that effort was well worth it. P.S. And of course, the #1 of all #1 on the list is for Flapper to stay healthy... always. With this, we officially come to the end of Flapper's campaign for Sony Action Cam - "Prove Yourself: Take Your Adventures to New Heights". It has been such an adventure and needless to say, challenging to execute all the different adventures. And I know I've said it many many times but it has indeed been an honour for Flapper to have been given this opportunity to run all these adventures. 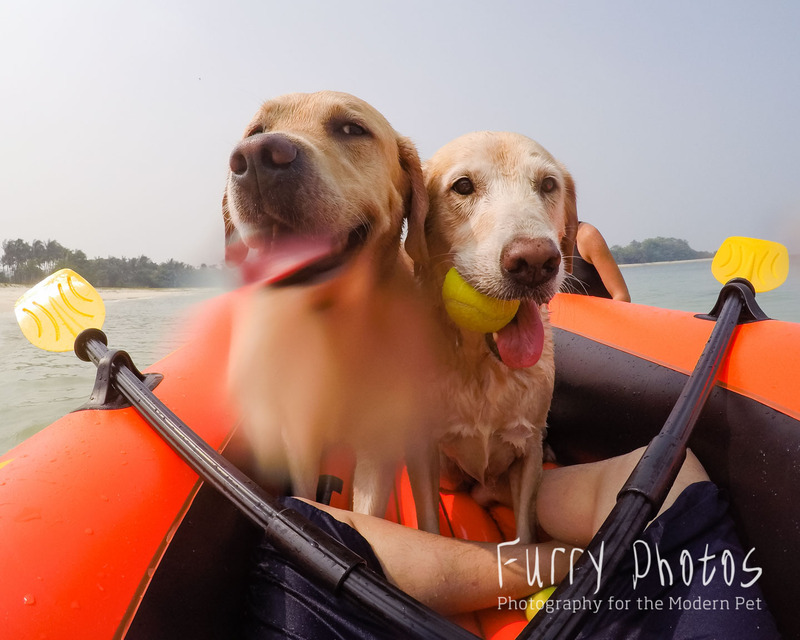 And most of all, we were finally able to document all his adventures - not just in the human's POV but we got to document Flapper's and Frodo's POV as well which was uber fun! I can only thank God for the blessings of having this incredible opportunity to own one of these POV cameras - to be more specific, the Sony Action Cam. I'm saying that not because Flapper is an influencer (yes, we are suppose to help promote the product) but for real it is like prayer answered that we now have the Action Cam. I have longed for one of these POV cameras for years. Maybe my 'Nine Promises' list should become some Twenty Promises... ha! Of course, I've had so many days of "if only I had this when I first adopted Flapper" but then again, there's a time for everything and I am so glad the time is now. I am so grateful Flapper and I experienced this journey together... now. And I am even more grateful that senior Flapper is still healthy and fit to run these adventures... now. With this, I will end off this post with thanks. 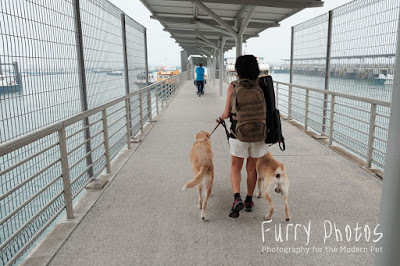 Nicholas Lee aka Uncle Nic of Furry Photos Pet Photography - For always being there for Flapper and me, and walking through this entire journey with us. Thank you for being Flapper's awesome photographer and generously allowing us to use the images for this campaign (even though you were left uncredited). Sony Singapore & WE Communications - For choosing Flapper to be an influencer for the Action Cam, the awesome Action Cam itself and sponsoring the birthday getaway.. Because he was chosen, thus he can say, "been there, done that". The Barkery Singapore - For always being there for the big events and sponsoring the birthday cakes, treats and Probiotics... for creating that incredibly genius Liver Chips FLAPS-jack thus allowing us to fulfil one of the 'Nine Promises'. Chrysler Jeep of Singapore - For helping us fulfil promise #2 by so kindly sponsoring us the Jeep Wrangler Sahara for a day. Trishaw Uncle - For agreeing to take Flapper on the Trishaw ride! Principal Gillian Neo, the teachers and management of My First Skool - For having Flapper at the school to interact with the children and allowing us to feature the video. The management of Sentosa/St John's Island and Island Cruise - For allowing the dogs to stay at the bungalow and go on the ferry (respectively). The cool mummy and daddy of Flapper's Godson - For letting Flapper be the Godfather to Lil G.
Flapper's fans and followers on Instagram and Facebook - For your loyal and faithful support to Flapper through these years. THE Family - For your background support and help throughout this campaign.